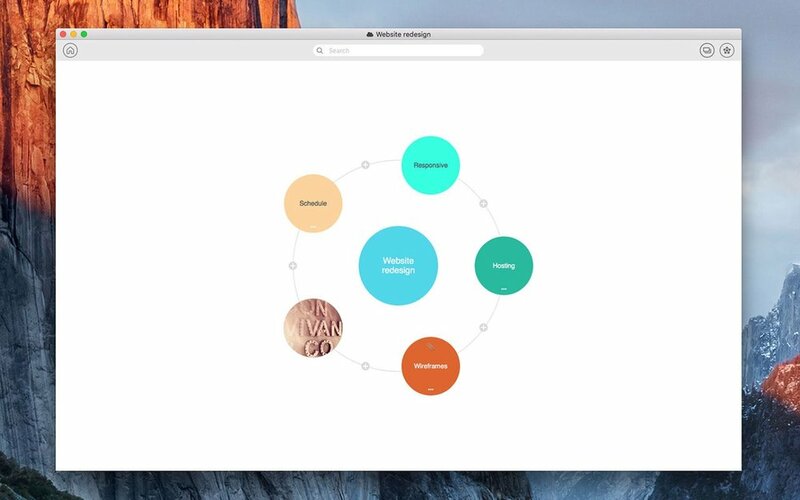 If you need a solid “mind mapping” app, check out Drip Grind’s Mindly 1.6 for Mac is a handy companion to its Mindly app for iOS and Android devices. It help keep your “inner universe” organized by giving a structure to your thoughts, ideas, plans and projects. You can capture your ideas on-the-go with mobile version of Mindly and development them further with all the conveniences of desktop environment such as multiple windows, full-size keyboard and large screen estate thanks to Mindly for Mac. Users of the app can organize their ideas by using natural associations between concepts. You can use colors, icons and attach images to convey meaning. My biggest beef with Mindly is that the docs I create and save to iCloud don’t always show up on my iPhone — and vice versa. Drip Grind has supposedly addressed the issue, but it still happens sporadically. Mindly for Mac requires macOS 10.11 or later. It costs $29.99 and is available worldwide through the Mac App Store in the Productivity category. Mindly for iOS is free and is available at the Apple App Store.